Para Griffin/Getty ImagesMeek Mill was temporarily a free man on Saturday as the rapper was given the thumbs up to perform at Beyonce‘s Formation Tour stop in his hometown of Philly. Mill, who attended the show with his girlfriend, Nicki Minaj, came out to perform a song with DJ Khaled and Rick Ross. 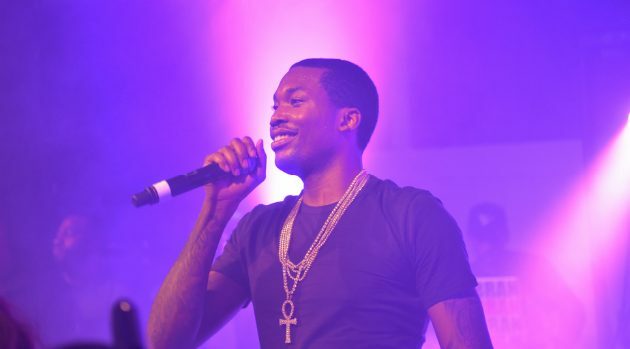 According to TMZ, the Philadelphia lyricist was given pre-approval from a judge. The rapper’s house arrest was up last week, but according to reports he did not do the approved amount of community service so the judge added an additional eight days. Nicki Minaj documented the weekend’s festivities on social media posting photos of herself and Meek with DMX, Jay Z, and a handful of others.